Governments and society in general have gone to great lengths to help protect the public in case of major disasters or events that threaten lives. 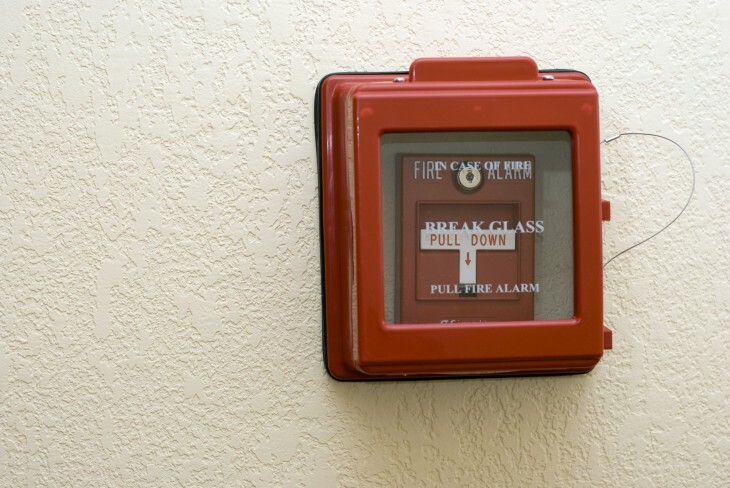 Because of this, most people have certain emergency procedures they put in place in case of an emergency or disaster. These different procedures range from simply keeping and storing important documents (insurance policies, bank information, mortgage information, etc.) in a safe place (such as at a bank) to knowing where to go should a fire or tornado overtake your home. While we all know we should be (and may have already) prepared for when disaster strikes, have we ever considered taking the time to prepare our business for similar disasters? Also, we may know what to do should an emergency occur in our personal lives, but can those things translate well into your business life as well? With just a little bit of planning and research ahead of time, you can not only better prepare you and your family should any type of emergency or disaster occur, you can also prepare your business to handle those rough times as well. Now, there are many different types of emergencies or disasters that could happen and affect both you and your business. Everything from being sick for a long period of time, to data theft, to a computer malfunction, to natural disasters and even fire and tornados. We all have our own definitions of disaster and emergency. Below, I am going to discuss preparing for and reacting to different types of emergencies and disasters. First, let’s talk about how to prepare yourself for different types of emergencies and disasters, then let’s follow up with how to react should something happen. While each individual type of emergency or disaster may come with special ways to prepare for them, it is almost impossible to be 100% prepared against everything. Thus, the key in preparing both you and your business for such an event is to think in bulk. What is one thing you can do to prepare yourself in many different disasters? For example, it is a good idea to round up all of your very important documents (birth certificates, insurance policies, bank information, etc.) relating to you and your business and store them off-site in a secure place, such as in a lock bank box. Storing items in a bank box is thinking in bulk because it should protect those documents should a fire, flood, or other natural disaster take over your home/business. Things like getting a bank box, backing up your files, scanning copies of important documents, creating an emergency fund and putting money away, purchasing adequate insurance, and documenting your personal and business property are all ways you can prepare in bulk for when something happens. In addition to thinking in bulk, you should also think about the most common type(s) of disaster or emergency that could occur in your life. Are there major health concerns for you or your family that could cause you to miss a lot of work if something happens? You could start an emergency savings account and start putting back some money to cover you should you have to take an extended leave of absence. Is tornados the most common type of disaster where you live? Then think in terms of preparing your home and business should a tornado destroy either place, such as establishing an online backup for your computer and digital files and documenting your personal and business property. Once you have done the items that would help protect you from the most emergencies and disasters and the most common ones, then you can work on preparing for special types of situations. For instance, you may want to sit down and think out what needs to be done should each type of emergency or disaster happens. For example, if a tornado was to destroy your home or business, what should be the first things you need to do? Chances are this list includes calling your insurance company, ordering an on-side storage container so that you can begin salvaging your belongings, and securing temporary shelter such as in a local hotel or with friends and family. Thinking these things out ahead of time and reviewing them regularly will keep it fresh in your mind and something you can execute when something happens. Once disaster strikes and you are in emergency mode, what should you do? There are a few obvious things such as making sure you and your family are safe at all times and try to remain calm throughout. However, there are also several other things you should consider when something happens. If you know there is an increased chance of an emergency (such as flooding or a tornado), start getting ready as soon as possible. For instance, I live in killer tornado alley in the United States. Severe weather almost all the time is accompanied by the likelyhood of a tornado. When I know there is a chance for severe weather, I immediately charge my cell phone and pack a small bag of emergency items (phone charger, my purse, a camera (to take pictures of damage afterwards for insurance), a pad of paper and a pen). I also will often make sure I have clothes on that would be durable and warm in case something does happen and I will be coming out of my home into debris. If an emergency or disaster is a sudden one, such as a health issue or an earthquake, it is even harder to handle these items. Remember to stay calm and tackle the most important things first. Make sure that you and your family are safe, assess any situation, and handle things as they happen. When things start to calm down, then start thinking about protecting your property and getting things situation like insurance claims and documenting damage (with pictures). Always try to keep your cell phone charged and make sure you have access to your emergency fund so that you can draw from it as needed. You can use much of the same information above to prepare your business for when an emergency or a disaster occurs. However, there are other special things relating to your business that you should also prepare for. What if something happens to your cash flow? You can help protect you and your business by establishing an emergency fund early and put money back to help cover you through any rough times and keep your bills paid. Purchasing insurance for your business will also take a lot of stress off of you as well. You can purchase things such as general liability and errors and omissions insurance that will protect you and your business should a fire take over your office or if you mess up a client project and they bring a hefty suit against you. What should you do if something happens that takes you away from your office for an extended amount of time? If this happens, taking a few minutes to do three different things will help you keep sane and your clients in the know: email clients saying you will be away and how you will conduct business, put up a vacation response on your email, and change your voicemail message. This should take you no more than ten minutes and can be done very quickly after something has happened. Your business can’t run without your clients so keeping them informed should help ease your stress of constant emails and phone calls while you can handle the emergency at hand. If something takes you away from your business for months, then finding someone who can run most of your business (or at least the most pressing things) would be ideal. Someone who can simply answer your email and phone and can perform simple tasks in your business will help keep your business going and will keep clients informed. If you have employees, you may want to train your highest ranking one to be able to do your job should you be gone for a while. The goal is to keep your business running as smoothly as possible so you can handle anything that may happen.